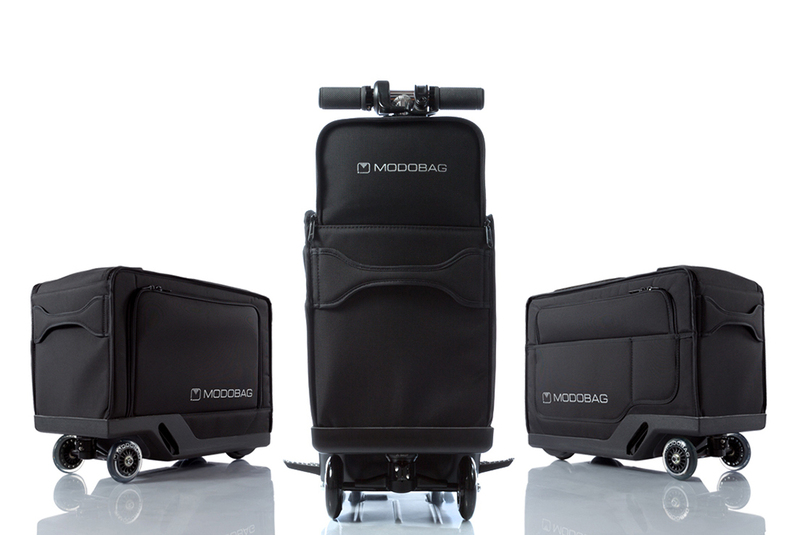 Modobag billed as world’s only motorized luggage. Modobag, the world's first motorized carry-on. Tired of carrying your bags at the airport? meet Modobag, the world’s first rideable travel bag. Combining the features of a standard suitcase with advanced motorized technology along with GPRS-GSM tracking and dual USB charging ports, it’s billed as the world’s only motorized and connected carry-on. Founder Kevin O'Donnell got the idea at an airport when his kids took turns riding his suitcase as he hauled it along. After an unsuccessful attempt to raise funds on Kickstarter last year, a new campaign on Indiegogo has already raised $23,865 of a $50,000 goal. The electric motor lasts for about 10km and can reach a speed of 13 kilometres an hour. According to the manufacturer, you can reach your destination three times faster than the average walking speed. Initial prices for the bag will be around US$995; pricey for hand luggage but that depends on how lazy you are.